Wide-ranging Questions about India: Review of "Exasperating Essays"
"The whole value of Marxism seems to me to be in the absence of dogmatism, mode of approach, and in the attitude to action… The success or failures of the Russian social experiments do not directly affect the validity of the Marxian theory." In fact these words were written long before the fall of communist regime in USSR and Jawaharlal Nehru gave a fitting reply to critics of Marxism. However while reading Exasperating Essays: Exercises in the Dialectical Method written by D.D. Kosambi, a scholar, historian and a mathematician, one will understand what misconceptions the elite Indian society had about various aspects of social life in general and Marxism in particular. In fact D.D. Kosambi took mammoth task to air his views on aspects like Is leadership necessary? Need the individual do nothing because all mass changes are inevitable? Is India really headed towards socialism? Is there a powerful class in India that has ideas contrary to those of our leaders and planning commission? Are the Chinese on the way to socialism? What is meant by freedom of science and of the scientist? Is the 'inner voice' always a safe guide? Why did Buddhism, the most benign of religions fade away from its own country? What is the significance of the 1857 revolt? Is Sanskrit literature free from class bias? Can the factors that impede World Peace be subjugated? Professor D.D. 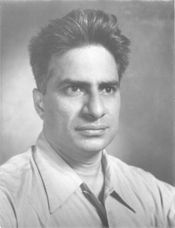 Kosambi was one of the best-known scientists of our country endowed with a truly renaissance versatility. Shunning the limelight of publicity, he made outstanding contribution in various fields of knowledge, which included mathematics, statistics, Numismatics, Indology, history as well as contemporary socio – political problems. The book under review is a collection of wide ranging essays written during the years 1939 to 1957. As stated in the introduction written by D.D. Kosambi himself, these essays (and a short story "The Kanpur Road") still continue to attract studious readers. This introduction tries to clarify the philosophical objections raised by Indian official Marxists (OM). In this connection Dr Savyasachi Bhattacharya, Chairman of the Indian Council of Historical Research and a former Professor at Jawaharlal Nehru University, states that “Indian Official Marxists hereafter called OM” were often displeased with him but he could not but protest their “theological emphasis on the inviolable sanctity of the current party line, or irrelevant quotations from the classics.” In using Marxist method in his own lights, in his effort to construe the civilization in India, in the convergences and divergences between his approach and the nationalist discourse of civilization, D.D. Kosambi has left much for us to try and understand and evaluate. There is a feeling that Marxism has become obsolete in 19th century itself. But D.D. Kosambi compares Marxism with scientific achievements of that era and states that the achievements and Marxism will never become obsolete in any sense. The author refers to the analogy of crystallization to explain the position of leadership in a social movement. He feels that the entire process of transformation with very little scope for super-saturation should be a natural process and its aftermath. He makes this statement while explaining why the communist revolution was successful in Russia but failed in Germany. He attributes this to leadership of Lenin, though he may not have lead the whole movement alone, but he was a great link in the chain. In religious leadership though one cannot predict about theological understanding of masses, the leadership knows how to stand firm during social unrest. In fact the author quotes the example of Mahatma Gandhi. In 1930, when Satyagrah got out of hand, he discovered the need for the uplift of Dalits and whole movement was sidetracked. While reviewing the book Discovery of India written by Jawaharlal Nehru while he was in prison, the author appreciates the efforts taken by Nehru to put Indian History in broader perspective. However he feels that the book could not be recommended to the general reader, though Prof Kosambi admires the work of Nehru. Prof Kosambi is perplexed on the statements made on racism and casteism prevailing in India. The author analyses the mindset of bourgeoisie settled in South Africa, which typically wants equality with the Whites but not with Negroes. Though the equations might have changed in due course of time; however one can trace the remnants of bourgeoisie mentality in day-to-day affairs even now. In fact Prof Kosambi in a prophetic manner predicts that though history had thrust upon Nehru mantle of leadership, the strong and powerfully organized middle class will cleverly exploit him for its own purpose and Nehru's orientation towards Marxism will be bound to change. In the essay on 'The Class Structure of India', the author quotes extensively Marx who predicted that the British bourgeoisie would never allow the Indians to reap the fruits of the progress. The author traces the events leading to decline of feudalism in India and how the technological progress metamorphosised the society. In fact hunger, unemployment, epidemic diseases have become permanent and massive features of Indian society in spite of elimination of older property forms and replacing them with vast class of landless farm laborers with no hope of massive industrialization. In reality, with active support of great Indian middle class the Government itself became the biggest capitalist, the main banker, the greatest employer and ultimate refuge of intelligentsia. According to the author, the greed and avarice of pro-capitalists appears to be one of the reasons for this state of affairs and poor conditions. He finds that civilized moneymakers of advanced capitalist countries are satisfied with 5 % profit margin on their turnover; contrary to this the Indian capitalists' profit range is anywhere between 20 % to 50 %. Indian bourgeoisie had appeared last on the capitalist stage whereas other capitalists have almost abandoned the exploitation and adopted welfare means to satisfy the working class. As such the author suggests that India will be in a position if it adopts socialism. However he was afraid of socialism turning into fascism by empowering a leader to dictate the terms. It is quite surprising to know that the author, in 1957 itself, predicted that China will be far ahead of any other countries due to its policies and implementation methodologies. According to him the China made progress due to its correct social approach. In fact the author compares India with China and points out at the differences in the mindsets of the population at large. For example, birth control propaganda catches on very quickly in China since Chinese know that in their old age they will be comfortable and looked after by the State even when they are childless. It is not true in India. In the essay on 'Science and Freedom', the author criticizes heavily the scientists who think freedom means to do whatever they like while being paid by Universities, business houses or governments. In fact the author reminds them that science is no longer 'independent' as it was in its infant stage. Scientists are no more harmless who are toying with toxic chemicals, nuclear materials and complex gadgetries. They are, in fact, part of the society and they don't need any special treatment for their services. There is a well-defined social structure and there is a social necessity for scientists too. The author emphasizes that science is not mere accumulation of experimental data; the data should settle some disputed theory and should have some relation with production. Prof Kosambi feels that the science need not be the creation of gifted individuals. In fact, gifted individuals are there in every age and in every field right from the inception of society. There is nothing great about these individuals since they are the product of the environment in which they are growing. Like any other thinker and scholar Prof Kosambi too had the curiosity to solve the mystery behind the death of Socrates. He discusses this issue from democratic angle and makes certain severe comments on the social circumstances of that time under which he was forced to drink the poison. In the chapter 'The Decline of Buddhism in India', the author pinpoints the reasons for the fall of Buddhism in India. According to him, though the Buddhism owed its initial success since it fulfilled social need of that era, it started deviating from the principles it had set. During the course of time, Buddhism became uneconomic beyond the reach of common man; monasteries became rich, the inmates were pampered, and monks started behaving like Vedic Brahmins. Buddha became 'Chakravarti'. The real damage came from within the practitioners and in fact there was a class distinction among Buddhist scholars, which ultimately lead the religion to decline in India. The author had devoted a full chapter on the great Sanskrit poet, Bhartrihari, quoting the verses in original and their relevance as a great poet of ancient era. As a true democrat, the author once again takes the issue in the essay 'Imperialism and Peace'. According to him, peace and democracy are two sides of the same coin and one cannot sustain without the other. No one should claim to be another's master whether by divine right, the right of birth, the right of armed conquest, or the right as a rich. Such rights are acquired by fraudulent means and violence against the vast majority of the people and by destroying truth and justice. The imperialism thrives on the profits and this profit benefits a few monopolists. While concluding we may quote Dr. Sabyasachi Bhattacharya in verbatim "In posing such wide-ranging questions about the civilization in India, Kosambi differed from the general run of academic historians of his times for they rarely engaged in the discourse of civilizations. He was swimming against the current. The specialized and fragmented view in the academic historians’ professional writings did not usually add up to that vision of totality that the notion of civilization demands. The fact that Kosambi was never given his due by them in his lifetime can be, arguably, ascribed to their disdain for a non-professional who was not only an avowed Marxist, but also given to talking about a dubious entity called ‘civilization.’"